Like carbs, fat in the diet is often associated with weight gain. But fat is an essential nutrient, and 20 percent to 35 percent of your daily calories should come from it. Most of the fat you consume is triglycerides. To get what it needs out of the triglycerides from the food you eat, your body must go through a two-step digestive process that includes emulsification and enzyme digestion. For good health, it's better to eat more unsaturated fats -- monounsaturated and polyunsaturated fats -- found in foods such as olive oil, avocados, nuts and fatty fish, than saturated fat found in whole milk, butter and bacon. Both saturated and unsaturated fats are triglycerides. Chemically, a triglyceride is made up of a glycerol backbone with a fatty acid chain attached to each of the three carbons on the backbone. The fatty acid chains in saturated fats are single bonded, while the fatty acid chains in unsaturated fats contain double bonds: one double bond in monounsaturated fats and two or more double bonds in polyunsaturated fats. The bonds on the fatty acid chain in the triglycerides are why butter is solid at room temperature and olive oil is liquid. Triglycerides are insoluble, which means they cannot mix with water. Before your body can digest the triglycerides in the foods you eat, they must first undergo emulsification, which means the ability to mix with water. Bile acids, which are cholesterol-containing substances made by your liver, have the ability to mix with both water and fat and attach themselves to the triglyceride molecule to make it more soluble. Once triglycerides are emulsified, they can undergo hydrolysis, which means being broken down into smaller pieces. Pancreatic lipase, a water-soluble enzyme, cleaves two of the fatty acid chains off the molecule, leaving one fatty acid chain attached to the glycerol backbone, referred to as a monoglyceride. The free fatty acids and monoglycerides come together to form micelles, which are absorbed through your small intestines and enter the cells. Once in the cells, the endoplasmic reticulum takes the monoglyceride and free fatty acids and remakes the triglyceride. These triglycerides act as a source of energy for your cells. If your body has more triglycerides than it needs, the extra gets stored as fat for later use. If you eat more calories than your body needs, those extra calories are also turned into triglycerides and stored as fat. High triglyceride levels not only lead to weight gain, but also increase your risk of diabetes or heart disease. Watching both the fat and the calories in your diet can help keep triglyceride levels within an acceptable range for better health. 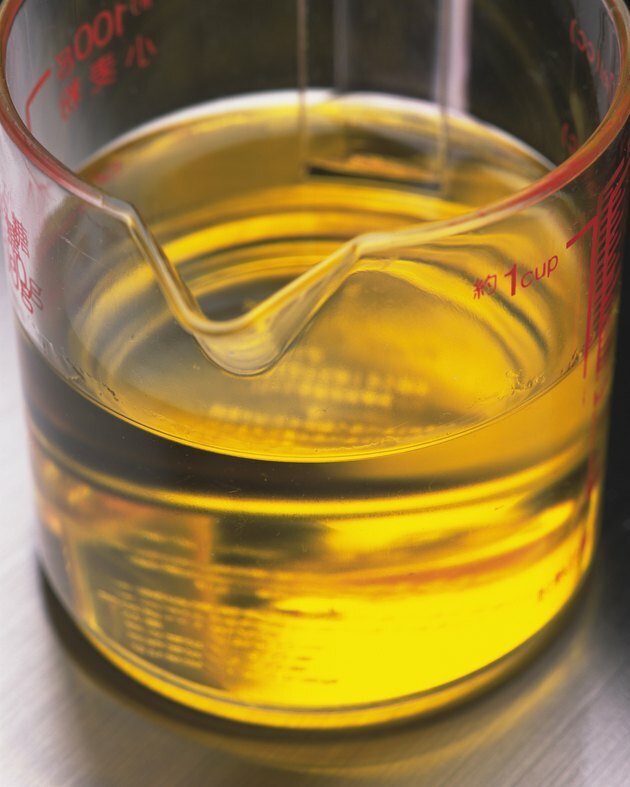 University of Cincinnatti: Lipids: Fats, Oils, Waxes, Etc.